If there’s one thing everyone can agree on about taxes other than their inevitability, it’s that they want to pay as little as possible. The government mandates how much you owe based on how much money you earned during the year, but there are ways to reduce your taxable income so you can keep more of your own money. Here’s a look at four simple steps anyone can take to lower their tax bill. Contributions to tax-deferred retirement accounts, including most 401(k)s and traditional IRAs, reduce your taxable income in the year you earn the money. Then, when you withdraw the money in retirement, you pay your ordinary income tax on the amount you take out. It makes sense to put your retirement savings in a 401(k) or IRA if you believe you’re in a higher tax bracket today than you will be in retirement, and enjoy the tax-deductible benefit today. On the other hand, if you’re just starting out in your career and you think you’ll be in a higher income tax bracket in your retirement, Roth retirement accounts are the way to go. Contributions to Roth IRAs or Roth 401(k)s don’t reduce your taxable income in the year you make the contribution, but you don’t owe any taxes on your distributions in retirement, as long as you’re over age 59 1/2, and the money has been in your account for at least five years. You can’t make prior-year contributions to a 401(k), but it’s not too late to make an IRA contribution for your 2018 taxes. You can contribute up to $5,500 for 2018, as long as you do so before April 15, and you notify your IRA custodian that the contribution is for the 2018 tax year. You won’t pay any taxes on your HSA money when you withdraw it, as long as you use it to pay for qualified medical expenses. If you use it for something else, you’ll owe the IRS a 10% penalty on the withdrawal if you’re younger than 65, on top of the income tax due on the distribution. But once you turn 65, the 10% penalty on the non-medical withdrawal disappears, although you’ll still owe income tax if you use the money for something besides qualified medical expenses. A 529 plan is a tax-advantaged account to save money for higher education for yourself or for a designated beneficiary. You can’t write off your contributions on your federal income tax return, and correspondingly, you won’t owe federal income tax on distributions that are used for qualified educational expenses. Be mindful that if you contribute more than $15,000 as an individual in a given year (or $30,000 for a married couple), your contributions may be subject to federal gift tax. However, there’s a special rule for 529 plans that says you can treat a contribution of up to $75,000 (or $150,000 for a married couple) as if it were made over a five-year period to avoid the federal gift tax. You can write off donations to churches, volunteer fire departments, or 501(c)(3) tax-exempt organizations in the year you make the charitable contribution. 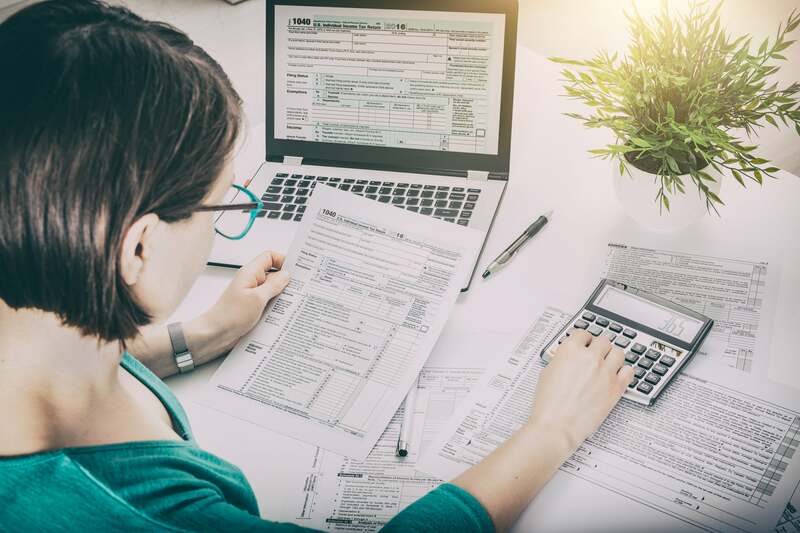 The amount you can write off will depend on the organization, but in most cases, you can write off up to 50% of your adjusted gross income (AGI) — that is, your earned income minus certain tax deductions you qualify for. For veterans organizations, fraternal societies, cemeteries, and certain private foundations, you may only deduct contributions up to 30% of your AGI. Gifts may be cash or physical items. Keep records of all the items you donated, including receipts for goods purchased, and bank or credit card statements listing the cash you donated. For donations of $250 or more, get a written acknowledgement from the organization you donate to. Remember, if you’re donating goods, you can only write off the fair market value. It’s not a bad idea to get an appraisal if the item you’re donating is especially valuable, so you can prove that the amount you deducted was justified. These are just a few ways that you can reduce your tax bill a little further, but there are many more tax deductions and credits out there. Your tax filing software or accountant can help you identify which ones you qualify for, but it doesn’t hurt to understand some of this on your own. You may be able to take advantage of some tax breaks you may have otherwise missed.